Eric Staal to the New York Rangers is just one of 15 possible trades SI.com’s Allan Muir can see happening at the 2016 NHL trade deadline. The beauty of the NHL trade deadline is that you never know how it’s going to play out. But it sure is fun to speculate. And that’s exactly what we’re doing in our annual matchmaker piece. We’ve taken a look at the buyers and sellers. We’ve considered the marketplace in the wake of Thursday’s blockbuster deal that saw the defending Stanley Cup champion Blackhawks land forward Andrew Ladd from Winnipeg in exchange for prospect Marko Dano and a first-round pick. We’ve weighed salary cap considerations and organizational depth charts. And in the end we’ve arrived at 15 swaps we could see happening before 3 p.m. EST rolls around on Monday. It's important to note that this is all connect-the-dots speculation, not rumors of impending deals. Feel like your favorite team is getting hosed? Flame away in the comment section below! There’s nothing the Bruins would like more than to re-sign Eriksson to a reasonable extension and all indications are that talks are ongoing. The sticking point is term. The B’s want to hold the line at four years. Eriksson is asking for six. Barring a last-minute change of heart from either side, that gap will lead Boston GM Don Sweeney to put the veteran on the market. He won’t have trouble finding a buyer. With Ladd off the market, Eriksson is the prize catch of the deadline. The 30-year-old winger has scored 23 goals this season—just 13 players have more—and he offers a high-pace, two-way game that meshes perfectly with what John Torchetti is preaching in Minnesota. Eriksson can be a factor on the power play (his eight goals are two more than anyone currently on the Wild) and help stabilize the team’s 27th-ranked penalty kill. He’s the one true plug-and-play option that is out there. In exchange, the Bruins are looking for a cost-controlled defenseman who can step immediately into the lineup. Dumba, a big hitter and electrifying skater, fills that need. The seventh overall pick of the 2012 draft already has set personal bests in goals (9), assists (11) and points (20) this season and seems to be grasping the more intuitive aspects of the position that eluded him before this year. There’s a bit of boom-or-bust in his game, but the upside makes him a risk worth taking for the B's. Have to believe the Ducks, another defense-rich team, will be in hard on the bidding for Eriksson. If they can’t land him, Boedker is a solid fall-back option. The 26-year-old left wing is one of the fastest players in the league, and has the ability to create chances off rush. He’s not a classic finisher but he gets pucks to the right areas and can make the players around him better. He has the versatility to skate on either wing and the defensive savvy to play up and down the lineup. This return might have seemed like an overpayment earlier in the week, but after the Ladd deal it’s a good bet that it will take more than just a late first-rounder to land Boedker. Montour is a right-shooting, offensive-minded defender who earned a spot in the AHL All-Star Game as a rookie this season. He projects as a top-four NHL defender who can juice a power play. With 10 regulars aged 29 or older, this isn’t the time for the Rangers to paint the corners. It’s either all-in or fold up the tents ... and GM Jeff Gorton doesn't look ready to pack it in just yet. Defense has been an issue all season for the Blueshirts, but after being held to 45 goals in 19 playoff games last spring, Gorton will focus on adding offense at the deadline. Staal might not be the perfect response—his 10 goals and 33 points are a career-low pace—but his size and experience are appealing. His arrival would allow Kevin Hayes to move back to the wing, and create depth and competition at the center ice position. The Rangers can’t swallow Staal's $8.25 million cap hit, so they’ll need the Canes to retain some salary. That courtesy is going to cost 'em. Lindberg was a solid producer in the minors (100 points in 150 games) who projects as a reliable secondary scoring option in the NHL. The 24-year-old winger can step immediately into the lineup, which might open the door to Carolina dealing Jeff Skinner and the three years/$18 million remaining on his contract. The Sharks are (understandably) unhappy with the work of backup Alex Stalock and slightly concerned about heading into the playoffs with first-year starter Martin Jones between the pipes. A veteran upgrade like Reimer, who Don Cherry famously called “the best in the league” back in November, would go a long way towards soothing those nerves. The Sharks are tight under the cap, though, which means the Leafs will have to retain salary to make the deal work. Chartier, a 19-year-old center, will compensate them for their financial generosity. He won’t put up gaudy numbers in the NHL, but he could become a solid two-way forward who excels defensively, chips in on the penalty kill and is generally miserable to play against. Consider this a preemptive strike by the Predators. Vesey is the organization’s top prospect, a hulking winger with high-end mobility, a fierce competitive drive and a shoot-first mentality that’s resulted in 52 goals in his past 63 games at Harvard. The consensus is he’s good enough to skate in a top-six role for the Preds right now. The problem: Because he was drafted out of high school, Vesey has the option to sign with any team he chooses after leaving school. And while Nashville isn’t aren't out of the running by any means, there's a good chance that he’ll explore his options ... including Toronto. The Leafs are thought to have the inside track because they employ his father, Jim, as an amateur scout. Toronto also drafted his younger brother Nolan in the sixth round of the 2014 NHL draft. So, rather than risk losing him for nothing, it makes sense for Preds GM David Poile to be proactive. Packaging Vesey with a first rounder would allow Nashville to add Kadri, a 25-year-old forward who only now is coming into his own as an NHLer. A natural center, he projects to step in behind Ryan Johansen on the second line after the expiry of Mike Ribeiro's contract next summer. In the meantime, he can slot on the wing and offer immediate help to a team that ranks 18th in total offense (2.56 goals per game). Here’s all you need to know about the state of Dallas’s playoff chances: After coughing up six goals to the shorthanded Jets on Thursday night, the Stars have allowed three-or-more in nine of their 12 games in February. The blame for those struggles doesn't fall exclusively on the defense corps, but the top-four clearly needs an upgrade before this team can be taken seriously as a contender. ​Hamhuis is the best option on the market. Just two years removed from a gold-medal win with Team Canada in Sochi, he brings poise, experience and the durability to handle the heavy minutes required of a shutdown defender. He’s not an offensive wizard, but he can be counted on to make good reads and move the puck effectively in transition. And he can bring a calming presence on a penalty kill that has struggled all season with consistency. Hamhuis would need to waive his NTC to make this deal work. With a chance to win the Cup up for grabs, we think he’d do it. The rebuilding Canucks would get a young, NHL-ready player in Jokipakka, filling a glaring need on their back end. The 24-year-old Finn boasts good size (6' 3", 210 pounds) and strong defensive instincts. His game lacks any real offensive polish, but he could mature into a stay-at-home No. 4 for a team whose best days are down the road. Kudos to Hawks GM Stan Bowman for grabbing first-line winger Andrew Ladd, but this team’s most pressing need is on the back end where Duncan Keith, Brent Seabrook and Niklas Hjalmarsson are being asked to carry too much of the load. Russell has his detractors in the #fancystats crowd, but the eye test reveals a lot to like about him as well. He can handle heavy minutes (he’s averaging nearly 23 per game), he’s a fluid skater and he brings a warrior’s mentality to every shift, exemplified by his 174 blocked shots (second in the league). He’d be the ideal No. 4 for Chicago. The Flames might prefer to get a forward prospect in return, but Pokka would be hard to turn down. He’s not the sort of player who blows you away with his physical gifts. Instead, he’s the guy whose intelligence ensures that he’s always in position and whose poise allows him to make the right play time and time again. Bowman won’t be happy to give up on a player ideally suited for coach Joel Quenneville's system, but with Gustav Forsling in the system he has some wiggle room to make this deal. The buzz suggests the Leafs are looking for a first-rounder in exchange for Parenteau. A bit of a reach maybe, but it’s not entirely out-of-bounds after the Ladd deal. Remember, among the forwards who are expected to be on the move before the deadline, only Eriksson and Ladd had scored more goals than Parenteau's 15. And with few options on the market, a proven point producer will be in high demand ... especially one whose $1.5 million cap hit fits nicely into any budget. Isles GM Garth Snow is gearing up for one last run with his current roster before (likely) losing forwards Kyle Okposo and Frans Nielsen to free agency. He won't want to give up that first rounder, but he might be willing to offer a former top pick who is currently parked on the scratch-and-dent aisle. Ho-Sang is marvelously gifted, the rare player who can deke you off the couch while you're watching him on TV. But he's been dogged by character issues throughout his career, and there are concerns about his willingness to put his team ahead of himself. To reach his potential, he'll require both patience and structure. A talent-starved Leafs team might leap at the chance to “rehabilitate” the hometown kid, even if the risk that he busts is high. This is the sound of two teams washing their hands of underperforming prospects. A change of scenery might help unlock their potential ... or at least make them someone else’s problem. The Sens are looking for a mature, contract-controlled forward who can contribute on their top-six. The Canucks are seeking offensive-minded forwards on the verge of NHL readiness who can be part of their rebuild-on-the-fly. A perfect match? We think so. 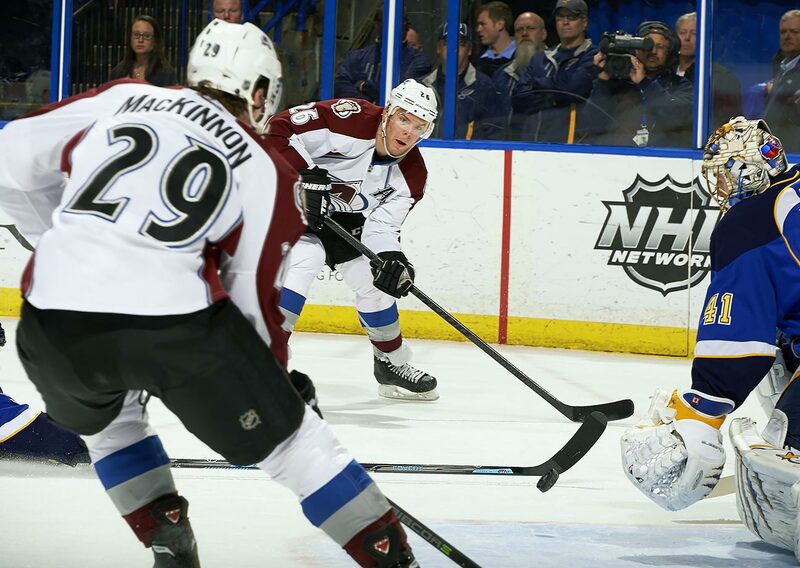 The 29-year-old Hansen has scored 19 goals—a career high—and he carries a $2.5 million cap hit through 2017-18. He’s the perfect complementary piece. There’s not a lot of flash in his game, but he plays at a high pace and with great intelligence. He can skate either wing and is responsible enough to move up and down the roster. Puempel is a natural goal scorer, gifted with tremendous hands and an instinct for being in the right place at the right time. He has top-six potential but injuries (he’s currently nursing a hip flexor problem) and a lack of defensive awareness has prevented him from securing a roster spot with the Sens. A change of scenery might be what he needs to get his game back on track. The Avs need a little meat on the blue line. The Flyers need to clear space for their next-gen defenders. Gudas has one year remaining on a deal paying him $1.4 million. One of the most popular Maple Leafs ever, Wendel Clark scored 50 goals in 125 games after arriving in a six-player swap with the Islanders on March 13, 1996. 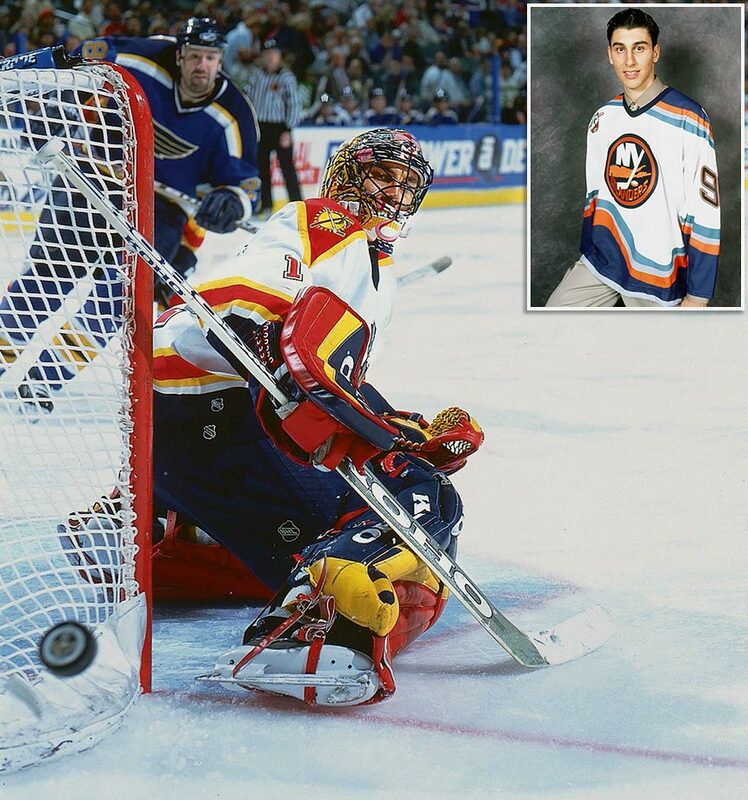 But in giving up the fourth pick in the 1997 draft, Toronto passed on a chance to draft Luongo. The future Hall of Famer has won more than 400 NHL games and helped Canada claim gold at five international tournaments. The fifth rounder they received from Calgary for Jason Wiemer on March 24, 1998 was a dud (Curtis Rich) but the Lightning struck gold with the third rounder, taking Rimouski center Richards at No. 64. 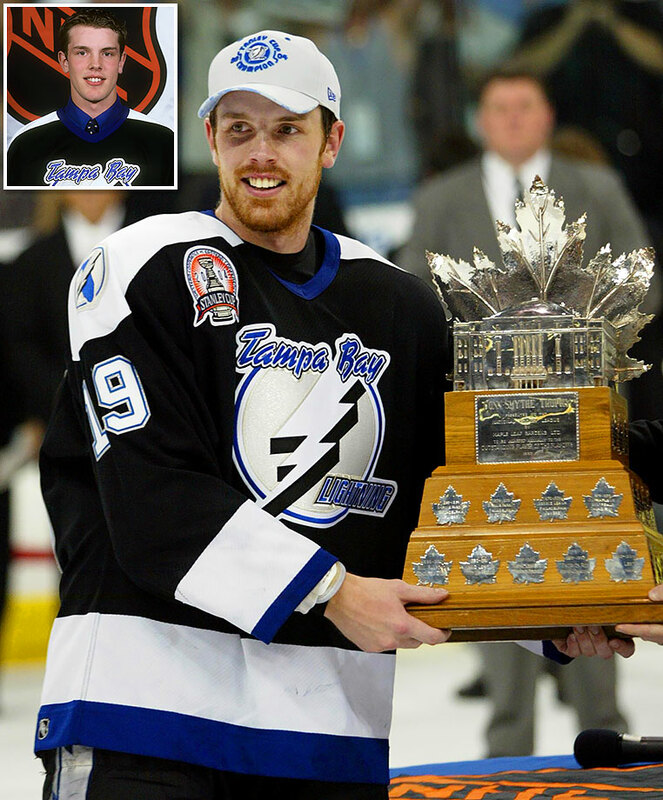 The flashy playmaker became one of the best second-line centers in the game, scoring 26 points in 23 games to claim the Conn Smythe Trophy as MVP of Tampa Bay's 2004 Stanley Cup championship. When the Sabres used the 138th pick in 1999 (which they received from Florida with Rhett Warrener for Mike Wilson on March 23) to take Miller from the NAHL's Soo Indians, they changed their franchise history. Overcoming an Olive Oyl-build with startling athleticism and a fierce competitive drive, he went on to win 30-or-more games in seven consecutive seasons and set a team record with 284 career victories. 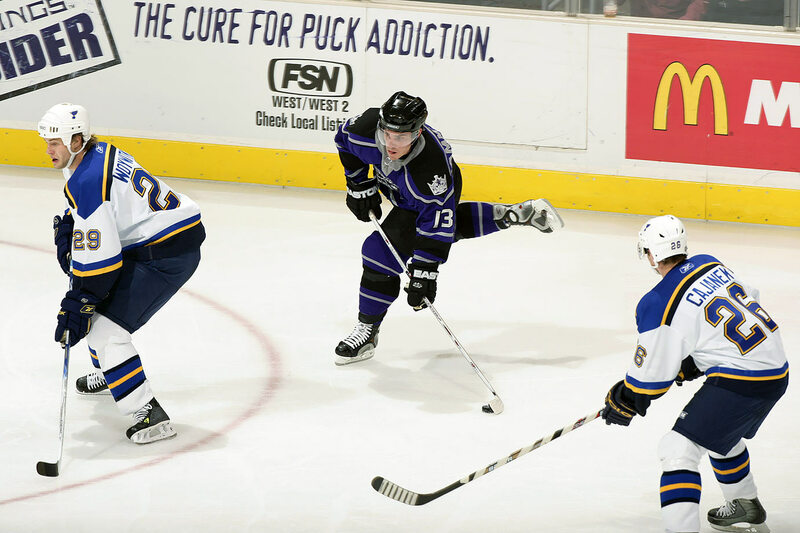 Aki Berg was a bust, a big body who played a small man's game, when the Kings pawned him off on Toronto for Adam Mair and a second rounder on March 13, 2001. Mair alone would have been a fair return, but the choice of Cammalleri at No. 49 tilted this deal wildly in favor of L.A. He was the anti-Berg, a small man who played fearless, physical game and he’s accounted for nearly 800 NHL games and 600 points since first suiting up in 2002. 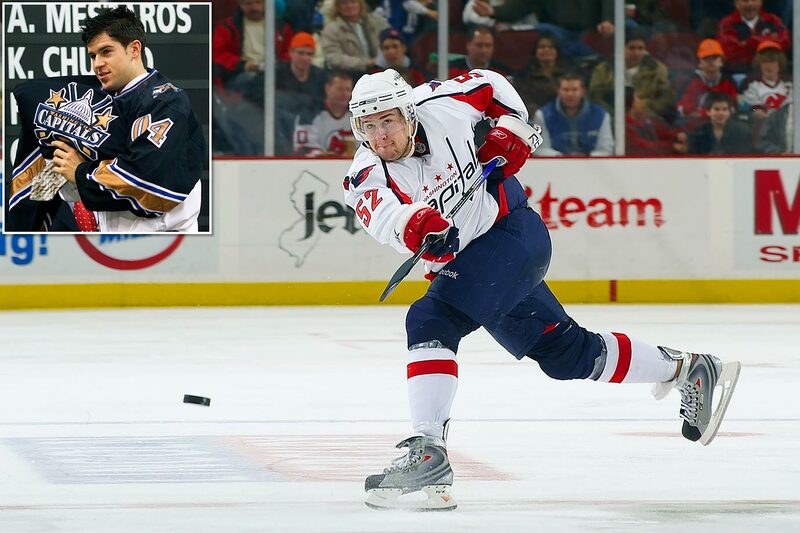 On Feb. 27, 2004, the Capitals sent Robert Lang to Detroit for Tomas Fleischmann, a first-rounder and a 2006 fourth-rounder. The ‘06 pick was a bust (Luke Lynes) but the Caps did all right with #29 in ‘04. Green went on to become one of the game's premier offensive blueliners, ranking top-five in franchise history in goals (113) and points (360) by a defenseman. It was one of those deadline day deals that draws little attention: a depth defenseman (Alex Karpovtsev) to the Islanders for a fourth rounder. There wasn't much said after the Hawks used that pick (108) on a little-known Swedish defender. 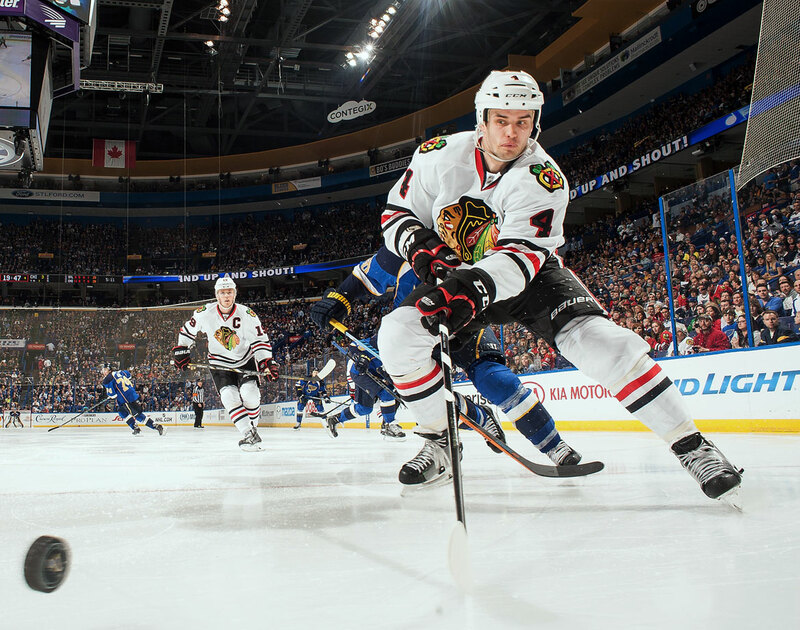 But 10 years later, Hjalmarsson has turned out to be a pivotal decision, one that solidified Chicago’s blue line and contributed to three Stanley Cup wins. Nearly 50 players drafted in 2005 went on to skate in at least 200 NHL games, but only two—top pick Sidney Crosby and No. 11 Anze Kopitar—have been more productive than Stastny. A steal at #44, the gritty center, acquired by Colorado in a March 8, 2004 trade that sent Derek Morris and Keith Ballard to Phoenix for Chris Gratton and Ossi Vaananen, has scored 182 goals and 533 points and become a staple of Team USA. With goalie Olaf Kolzig nearing the end of his career, the Caps used the first rounder they got from Nashville for Brendan Witt on March 9, 2006 to go fishing for a future starter in that year’s draft. They found one in Varlamov at No. 23, although he didn't truly grab the position until being traded to Colorado in 2011. 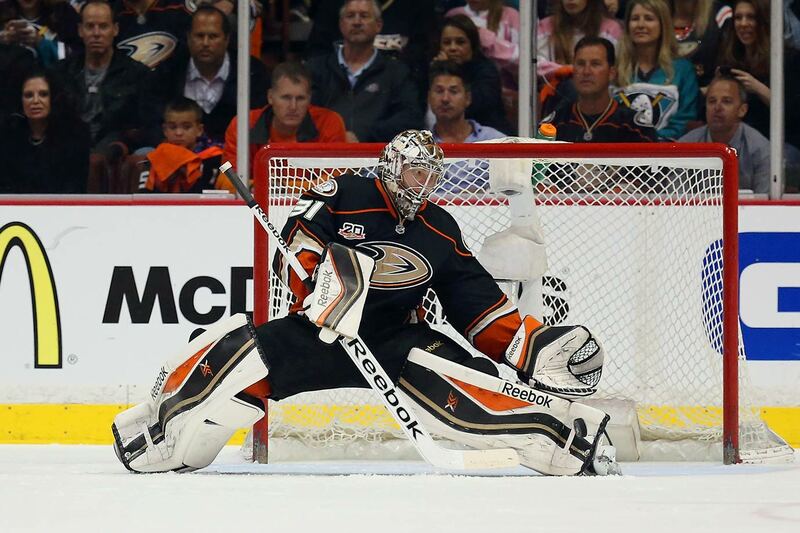 He led the NHL with 41 wins in 2014 and finished just shy of Tuukka Rask for the Vezina Trophy. If anyone was born to play for Boston, it was Lucic. Drafted after the Bruins sent Sergei Samsonov to Edmonton for Marty Reasoner, Yan Stastny and a second rounder (No. 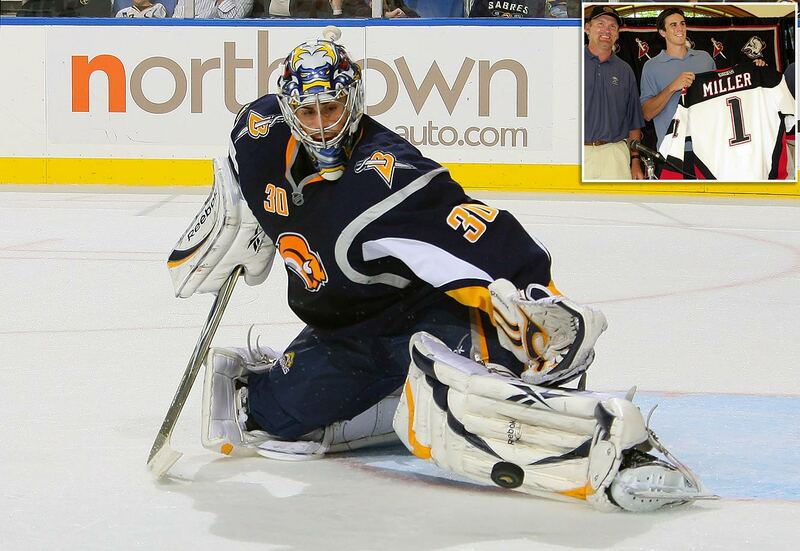 50) on March 9, 2006, he was an awkward skater and there were questions about his offensive potential. 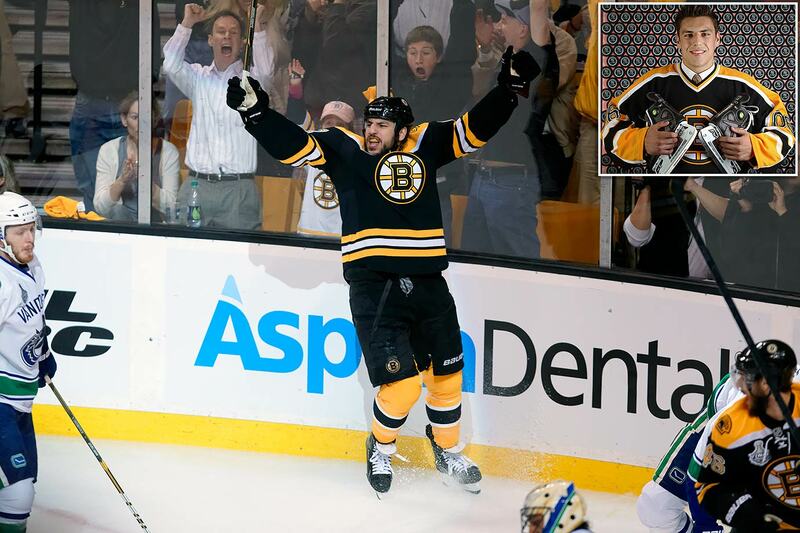 But Lucic had the heart of a lion and desire to make an impact every time he stepped on the ice. That drive made him an enduring fan favorite. Canadiens scout Trevor Timmins has an eye for American talent, and the Habs found a gem in Max Pacioretty with the 22nd pick in 2007 (acquired from San Jose with Josh Gorges for Craig Rivet and an ‘08 fifth rounder on 2/25/07). His speedy north-south game has produced four 30-plus goal seasons while his leadership skills earned him the NHL’s most prestigious captaincy. The Sharks made something of that fifth: Jason Demers played 300 games for them before being sent to Dallas for Brenden Dillon. 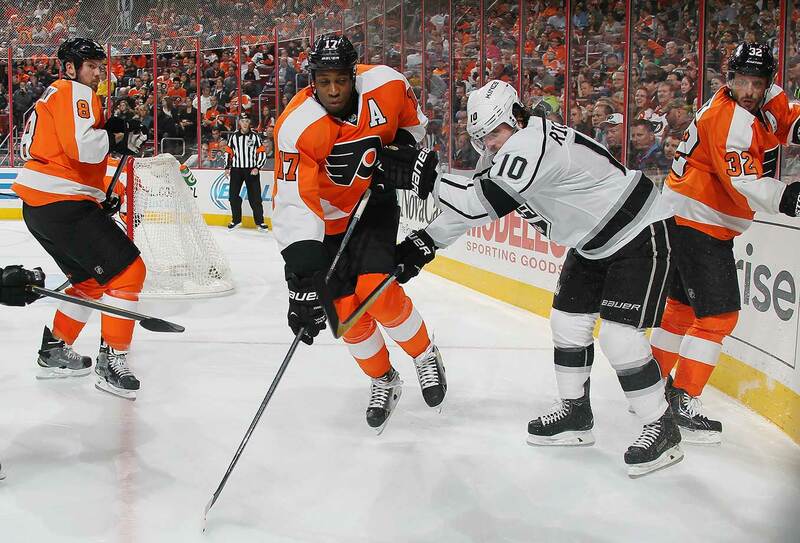 The Kings snagged Simmonds with the 61st pick in 2007 after their Feb. 26 deadline deal that sent Brent Sopel to Vancouver. His physical presence and commitment to two-way hockey made him a fan favorite and he caught the eyes of rival GMs, including Philadelphia's Paul Holmgren, who demanded the rugged power forward in exchange for Mike Richards at the 2011 draft. A high price to pay, but it helped the Kings win their first-ever Stanley Cup. Andersen had gone in the draft once (187th in 2010), but didn't see a place for himself in Carolina's crowded system. 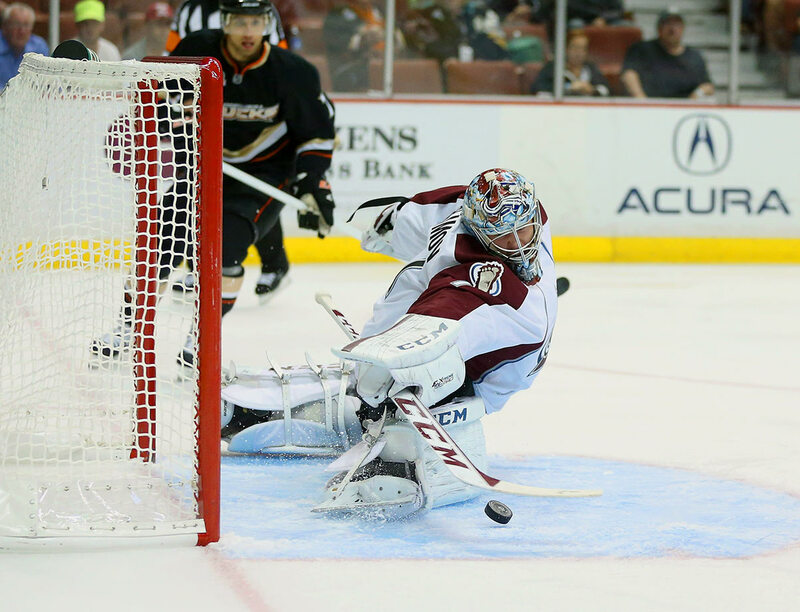 He returned to the pool in 2012, and the Ducks grabbed him with the third rounder (No. 87) they got from Vancouver for Max Lapierre and MacGregor Sharp on Feb. 28, 2011. The Danish keeper made an impact, winning 49 of his first 66 games—the highest rate of success for a rookie since Montreal's Bill Durnan in 1943-45. 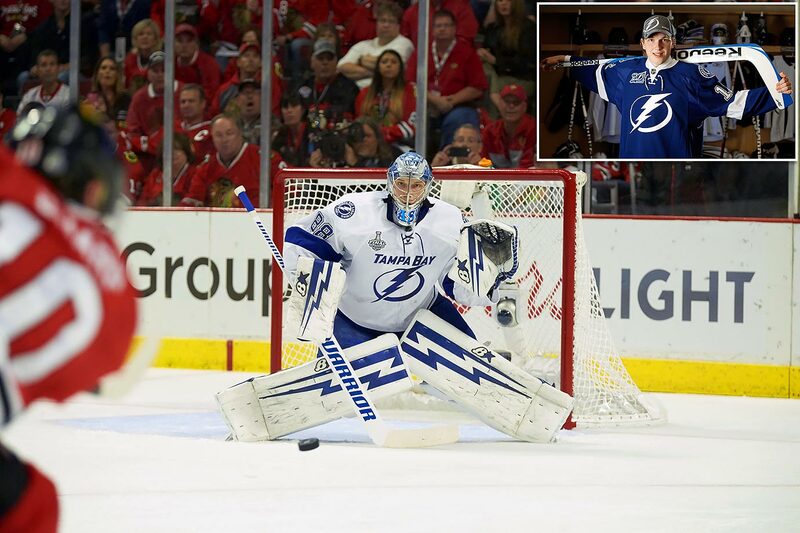 With a “safe” 2012 pick in their pocket (Slater Koekkoek at 10), the Lightning reached to take Vasilevskiy, the top-ranked goalie in that year's class, with the No. 19 they got from Detroit for Kyle Quincey on Feb. 21 that year. The big Russian has lived up to his early hype, showcasing the size, composure and athleticism that could see him become the team's No. 1 in 2016-17. The Kings have a knack for rehabbing young defenders who’ve struggled to find their way at this level. Wiercioch could provide depth ahead of the playoffs, but as a pending RFA he can be ditched this summer if he doesn’t fit in. Mersch is an AHL/NHL tweener at this point, but he plays a heavy game that could be a good fit for Ottawa’s bottom six. The Leafs have cap space to sell and the Hawks need to dump Bickell and the $4 million they owe him next season. To make that work for both sides, Chicago throws in Hartman, a whirling dervish forward who plays every shift like its his last. The Stars could use a bit of oomph up front. Weise brings that physicality along with some surprising speed. The Habs are aiming for more in return, but likely will settle for a single pick as they reload for next season. ​The B's need a veteran to fill in for Eriksson if he departs. The Jackets need to cut salary. Boston won’t take on the full $4.75 million owed to Hartnell for the next three years, but might bite if Columbus retains a third of what’s due to the 33-year-old winger. Khokhlachev, 22, is a flashy center whose path is blocked in Boston by Ryan Spooner. A fresh start might be what he needs to get to the next level.